Our next Science and Religion lecture at Hampshire College is tomorrow (March 28th). And it is my absolute pleasure to announce that it will be by historian Tracy Leavelle. I met him back when he was a Woodrow Wilson Fellow at Smith College, and I know that he is a big fan of soccer and the band Wilco! But he is not only a fantastic researcher, but also a great story-teller. 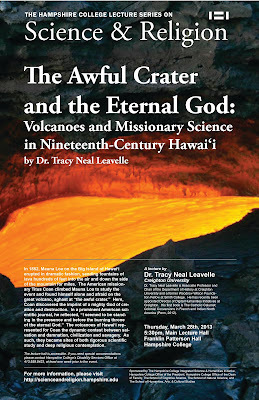 Tracy and I have collaborated on the issue of telescopes on the sacred Mauna Kea in Hawai'i (if you follow the blog, you must have seen umpteen posts on that). Abstract: In 1852, Mauna Loa on the Big Island of Hawai‘i erupted in dramatic fashion, sending fountains of lava hundreds of feet into the air and down the side of the mountain for miles. The American missionary Titus Coan climbed Mauna Loa to study the event and found himself alone and afraid on the great volcano, aghast at “the awful crater.” Here, Coan discovered the imprint of a mighty God of creation and destruction. 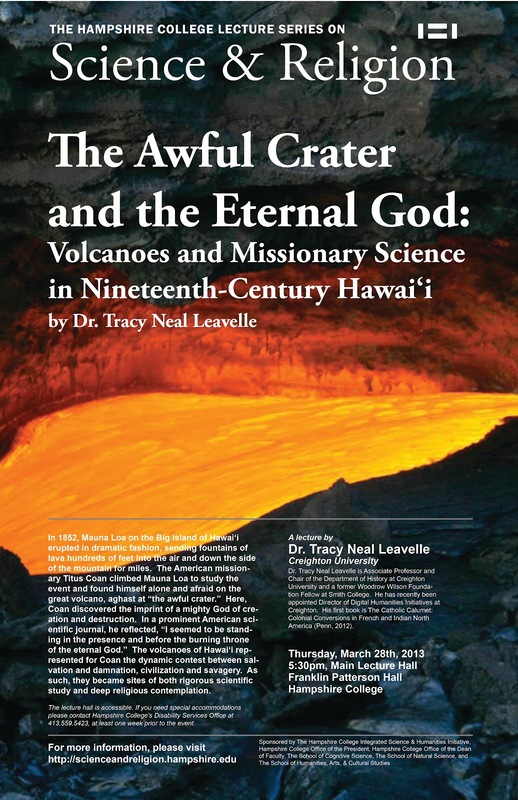 In a prominent American scientific journal, he reflected, “I seemed to be standing in the presence and before the burning throne of the eternal God.” The volcanoes of Hawai‘i represented for Coan the dynamic contest between salvation and damnation, civilization and savagery. As such, they became sites of both rigorous scientific study and deep religious contemplation. Creighton University and a former Woodrow Wilson Foundation Fellow at Smith College. He has recently been appointed Director of Digital Humanities Initiatives at Creighton. 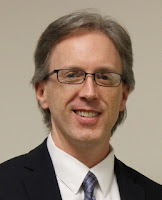 His first book is The Catholic Calumet: Colonial Conversions in French and Indian North America (Penn, 2012). To avoid extremists, get the clerics a job!